I started this site to document the stuff I did with my MakerBot. It’s MakerBot #127 and it came to me as a Batch #5 Deluxe Kit. Meanwhile I do a lot of other stuff too, playing with Arduino, other electronics, robotics and flying things like Quadrocopters and Tricopters. So this blog shifts a little bit away from pure 3d printing to more general projects of mine outside the software realm (i.e. 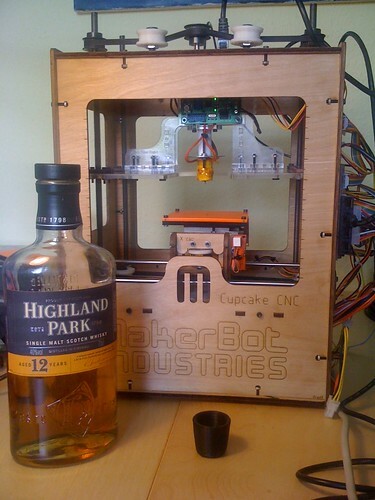 hardware in the real 3d world…), like the PleasantMill, the Spherebot and more. Last but not least, I’d like to thank all the supporters of and donations for the Pleasant3D project! I hope to have a little bit more time in the future to continue developing this open source app. Hate to be totally banal and say practically nothing, but I really love your projects and posts. I find them very inspirational, thanks.